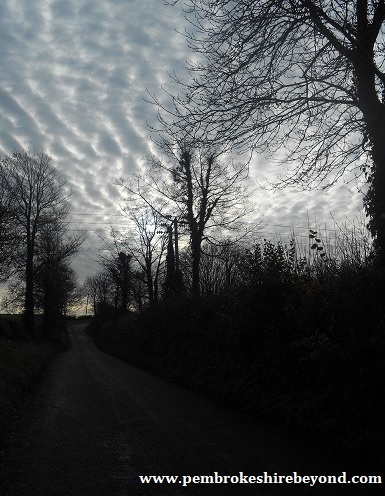 Who is the Ghostly hitcher that haunts clay lanes? Will she be there tonight? I often think of one of my favorite local ghostly encounters which took place on January 1st, 33 years ago on a typical cold, wet and stormy night as such things do. A local taxi driver had a call for a pickup in Haverfordwest just after midnight. Being based in Merlin’s bridge with his then trademark black London cab he set off down clay lanes, the interconnecting road between Merlin’s Bridge and leading to the top of part of Haverfordwest where the cinema, leisure center and Doctors surgery can be found. The Taxi driver traveled about half way down clay lanes, before the big Hill that leads down to the little hamlet with the humped back bridge. There he saw standing, by a gate to a field, a young woman. Now being the middle of a Pembrokeshire winter, cold, wind and rain fully entrenched; the taxi driver could not but notice the fact that this woman was stood alone and totally unprepared for the cold and dreary conditions. As he neared he saw that she was wearing a pair of shorts, a vest top, hiking boots, a ruck sack and her long dark hair matted to her face. He stopped as he, a father and devoted family man, was concerned that such a pale, skinny young woman was stood exposed to the wintry conditions, miles from anywhere, alone in the dark with not even a coat or jumper. He opened his window and asked through the wind and rain if that she wanted a lift into town. She nodded and clambered into the back of his cab. He turned and looked at her sat in his back seat drenched and miserable. He could only imagine that perhaps she had lost her way to a party or had a falling out with a boyfriend. He continued his journey into Haverfordwest asking where she was heading, why she was out in the middle of nowhere and all the while she sat quietly in the back, her hair matted with long wet strands covering her face, holding herself tightly, her teeth chattering . The windscreen wipers hypnotically wiping away the rain as the Taxi driver peered at her through the rear view mirror. Finally as he drew into Haverfordwest where the road continues up to Augustine way or leads down union hill towards Quay Street, he slowed down the cab to ask her where she would like to go, where would she like to get out. To his shock and dismay he saw that she had vanished. No girl, no rucksack, not even a drop of rain on the seat or a muddy boot print. Inexplicably she had vanished. It had been mere seconds from the time he had last caught a glance of her in the rear view mirror and he did not hear the heavy black door open and close for her to run off into the darkness. I have heard this tale recanted by many over the last thirty or so years and change as some of the detail may there is always one constant. The taxi driver never took that back road again. He was said to be visibly shaken by the experience and one had to ask just how you would cope with such an apparent and terrifying encounter? Would your own rationale fathom the event, would your faith allow you to believe that such a tragic lost soul is trapped in hellish conditions in the realm that we inhabit. A part of me likes to believe that perhaps his genuine kindness helped her to get “home”, that she has escaped her ordeal through a fusion of a living persons Samaritan like compassion and a spirits overwhelming desire to escape the leash of limbo. No one really knows who the girl is supposed to be. If she was a spirit horrifically re-living those cold and lonely hours in the darkness then no one has yet discovered her identity. Was she murdered? Did some foul atrocity take place when a young hitch hiker was perhaps picked up by someone thought to be deemed charitable but instead possessing evil intentions? Perhaps the girl simply died of exposure or an illness that one miserable night in the past yet there is no record of a body ever being found in the area. I have never enjoyed a walk along that road after the sun sets; I am not alone as many of my friends have complained about a depressing and oppressive feeling that someone or something definitely does not welcome company on that old back road. I do not believe that the hitch hiker and the feeling of dread are necessarily related. The Road runs along Haroldston ruins a place I do not feel has any connection with the malevolence one feels with Clay lanes. Most recently on the same night people have reported large lights drifting along the road and suddenly disappearing. Is the phantom hitch hiker mustering energy to manifest on the gruesome New Year’s anniversary of her demise? 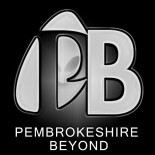 Pembrokeshire is no stranger to Road related spooks. The Welsh road by New Gale has had many incidents of a teenage boy darting across the sea side road in front of a car, for a panicked driver to slam on their breaks and watch befuddled as the teenager disappears into the cliff face. Or perhaps the sightings of an old lady shrouded in an ethereal pale light on the Waterson road by Neyland or even one terrifying encounter that my own grandfather experienced half a century ago on the road to St Martin’s Church in Clarbeston. As he cycled home one night from Clarbeston Road, “a coffin shaped” glowing box “flew” down the road, knocked him into the verge and sped off silently over the hedge and into the night. One poor driver on a road in Kent reportedly ran over a woman, felt the wheels go over her and rang his father crying and sobbing that he had killed someone, and that the victim was still under the car and refused to get out to witness the horrifying aftermath of such an accident. When the police and ambulance arrived, the driver sobbed uncontrollably in the car and was eventually coaxed out to discover there was nobody at all under the car, no blood or even a dent. This is not the first time that someone had ran over a woman on the exact same stretch of road to later realize an accident had not actually occurred. The guilt, fear and anguish these poor drivers must feel at such a harrowing act of running somebody over with a car to then have those emotions replaced with self-doubt, confusion but ultimately relief at an accident that felt genuinely real but was in fact non-existent. Roadway spirits harrow me more than your typical spirits. There is a melancholy to them, a tragic sadness. We all have had that feeling where we just want to get home and be with our family, eating our dinner in the warm or settling down for the night with some T.V or a good book. For these spirits there is no home, no sense of ownership of a property that they once inhabited in life and now share with its new flesh and blood co-habitants. Road side spirits are homeless, alone in the night. In life and in death they never made in home. This entry was posted on March 23, 2015 by The Paranormal chronicles in Ghosts and Hauntings and tagged Ghosts, Haunting, hitcher, paranormal, roadside#, Taxi driver, Wales.